Now we are in May our thoughts and our prayers turn especially to Mary our Mother in this month of dedication. On Friday we held a special assembly where we thought about the important role that Our Lady has in our lives and our faith. We praised her through hymns and prayers and presented flowers to her creating a shrine in the hall. 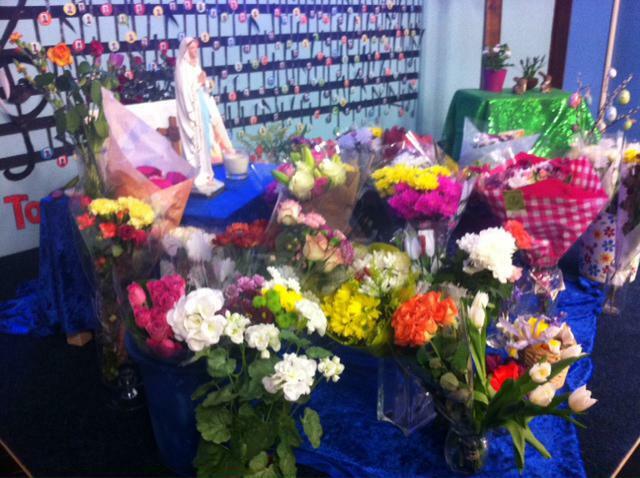 Thank you for the wonderful donations of so many beautiful flowers.